We've attempted to put everything I have learned and know about this great game into Coach Baseball Right. We are trying to help coaches, parents, and organizations. With this much information, it may be difficult to know where to start. So we created our free baseball coach guides as great starting points for any coach, parent, or organization. Choose the Coach Guide to help you start, engage, and bring your players to a new level! The Best Guide for Coaches and Parents on Hitting! 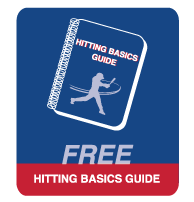 This free baseball coach guide is designed for the coach/parent who wants to learn the basics of hitting. There is up-to-date information in this that will provide a fundamental understanding of hitting. This is a essential guide for any coach or parent! Perfect for the New or Volunteer Youth Coach! 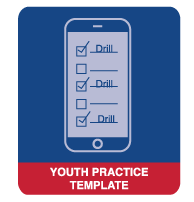 This free baseball practice template is designed for the new or volunteer coach/parent who wants to bring a fun and fundamental baseball experience to their youth practices. This is a MUST for all youth baseball coaches! The Guide that Gets Coaches to the Next Level! 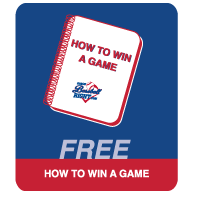 This free baseball coach guide is designed for the coach/parent who no longer has beginner youth players and is looking to learn a little bit more into the components of a baseball game. One of our most popular guides! Perfect Setup Guide for the Highest Level Coach! This free baseball coach guide is designed for the most serious coach. Send the right message to your opponent. Guaranteed you've never seen a better Pre-Game like this! Share these Free Coach Guides with your Community!